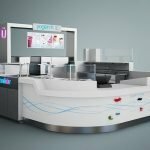 Frozen yogurt kiosk in mall are very popular business ideas in summer. But some customer will choose to plan it early. Because we design and build a mall used self serve kiosk need about one month . While shipping on the sea will cost 20-40 days based on different counties and cities. When you got the kiosk you still need to unpack and install the kiosk . So you need to prepare at least 2-3 month for a kiosk business in mall. The earlier the better to catch the busy season in next summer. 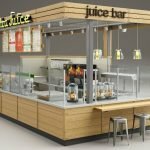 How to buy a round yogurt kiosk for mall ? 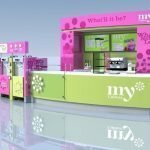 Here i m going to share a nice round type self serve frozen yogurt kiosk design. The actually size of this one is 10*10 ft space. However , round shape will give customer a easy going and better experience. Things has too sides. Round food kiosk have a very big disadvantage is that you can not have too much space for equipment or storage. 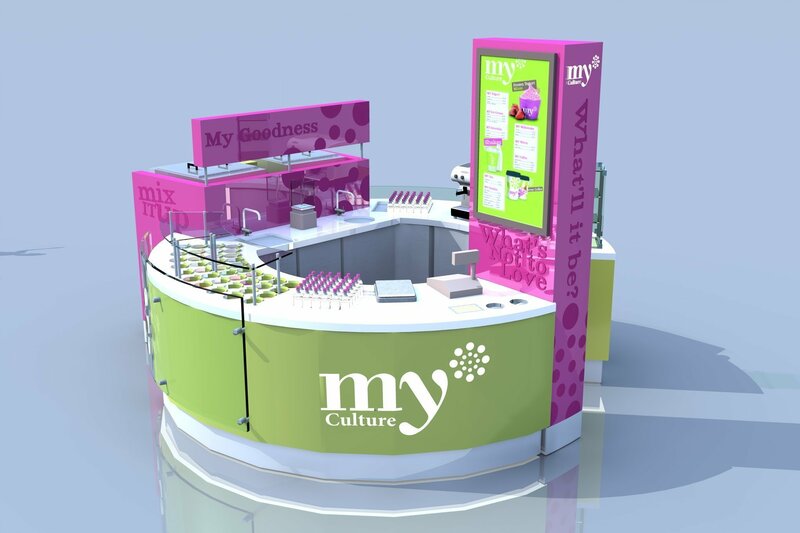 As a professional kiosk manufacturer i can tell you that make a curved kiosk cabinet will occupy too much space inside . And we all know equipment like fridge or freezer are all in cube shape very difficult to fit inside a curved counter. So vendors should take this part into consideration. 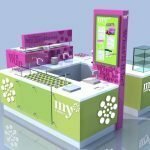 When you opening a round ice cream kiosk or yogurt kiosk store in mall , Welcome to visit our website and check our latest design.If you want to know the price on it. Just write to us or call us we will reply you immediately.